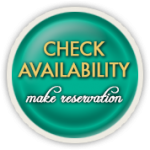 North Shore Inn is across the street from the lake - 24202 Lake Drive. From the 15 Freeway and the Cajon Pass take Highway 138 East towards Silverwood Lake. Continue on Highway 138 past Silverwood Lake and turn Left on Old Mill Road. Take Old Mill Road down and turn Left on Lake Drive in Crestline. Continue on Lake Drive until you see Lake Gregory on your Right. - The North Shore Inn will be the second building on your Left after the intersection of Lake Drive and Lake Gregory Drive - 24202 Lake Drive. 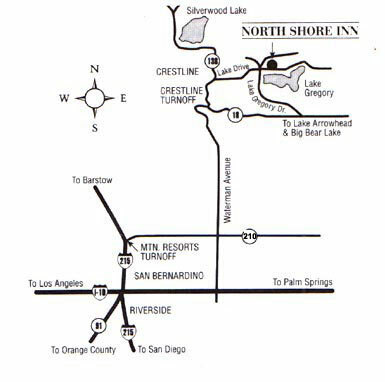 The North Shore Inn is located only 12 minutes (6 miles) from the Lake Arrowhead Village Entrance.